The second video shows the box, which allows for the performance of more traditional movements, such as Squats, under inertial tension. This works in a manner similar to the Versapulley, but it uses a wheel instead of a cone. As you can see, these Squats aren’t easy! In fact, I’ve personally coached a 500-pound squatter who couldn’t reverse the flywheel at the bottom of the Squat and had to step back off the machine! I’ve also had an Olympic champion swimmer whose back could handle 315-pound barbell RDLs for reps, but performing RDLs with inertial resistance brought about more visible changes in how his body reacted to the extreme force. The force of the flywheel is often, if not always, well over the maximal weight on the bar that most athletes can manage. Why is this type of resistance better than traditional barbells or weight stacks? It’s simple: the eccentric (or lowering) portion of a lift or movement is greatly increased in inertial resistance methods. Let’s take the Squat as an easy example. In a Barbell Squat, the hardest portion of the lift is obviously the way up. People usually fail a few inches into the upward motion of the Squat movement. In inertial resistance, the hardest portion is on the way down. This is because the momentum of the rotating cone or wheel preserves the highest velocity the athlete was able to reach during the upward, or concentric, portion of the lift, and reverses that back into the eccentric portion. 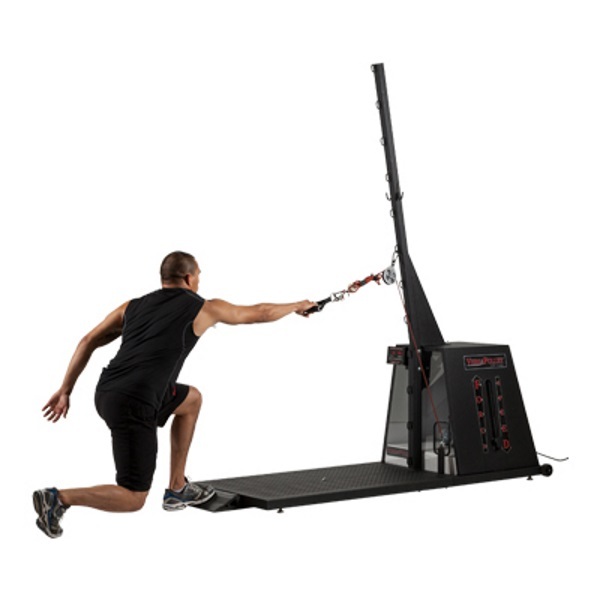 The main issue for the casual athlete is the price of inertial resistance machines. They cost between $2,000 and 3,000 (or more), which is clearly out of the affordable range for most households, and even small training centers. Not every gym can justify spending that much money for a single oiuce of equipment. Nevertheless, inertial resistance, as effective as it is, is making its way into the modern training space; and coaches and athletes need to understand the potential benefits of flywheel work. If you have a chance to try this training technology, you’re sure to be impressed by the results.